Many times, the physical injuries that dog bite victims sustain involve much more than a nip or a scratch. 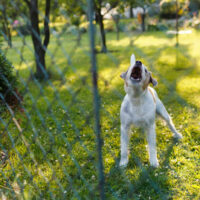 In fact, in 2014, U.S. homeowners’ insurance companies paid over $530 million in dog bite claims. The broken bones, severe lacerations, and other physical injuries only tell part of the story. Many victims, especially children, suffer from nightmares, flashbacks, and other Post Traumatic Stress Disorder-type symptoms for months or years after the attack. These kinds of symptoms often make it very difficult to function at home or at school. In Florida, substantial compensation is available for both these economic and noneconomic damages. What are some key components of a Florida dog bite claim? The Sunshine State has a limited strict liability law. It does away with the common law one-bite rule. Under this doctrine, owners are only liable for damages if the dog had a history of vicious behavior. This “history” does not have to be ancient history. Under the one-bite rule, if a dog snarls and then attacks, the owner may be on notice that the dog is potentially dangerous. Negligence Per Se: Tampa and most other jurisdictions have very clear animal restraint laws. If an owner did not obey this law, and that disobedience substantially caused the injury, the owner may be liable for all damages sustained. Scienter (Knowledge): This theory applies to both owners and non-owner custodians. If a dog walker knows that a dog may be dangerous and that dog attacks someone, the dog walker could be responsible for damages. In addition to snarling, other evidence of ferocity includes prior attacks on people or animals, aggressive barking, and baring of teeth. Negligence: Owners, custodians, and third parties could be negligent. For example, if a landlord prohibits certain types of animals, does not enforce the ban, and a prohibited animal injured someone, the Tampa landlord could be liable for damages as a matter of law. The respondeat superior (“let the master answer”) doctrine applies in Florida dog bite cases as well. For example, if a daycare teacher lets her students play with a strange dog and that dog bites a child, the daycare owner could be liable for damages. In almost all Tampa dog bite cases, the insurance company argues that the victim provoked the dog. However, in this context, provocation is more than teasing or prodding. Provocation usually only applies if the victim inflicted so much pain on the animal that it had no choice but to lash out. Moreover, young children cannot provoke a dog as a matter of law. So, if the sign was in a conspicuous location, and the victim could both read and understand the sign, the defense may apply. Dog bite cases often give rise to complicated legal issues. For a free consultation with an experienced personal injury attorney in Tampa, contact The Matassini Law Firm, P.A. We routinely handle cases in Hillsborough County and nearby jurisdictions.